RAIL passengers are being urged to take care after a Freedom of Information request outlined the trend of thefts and missing items. Overall thefts/losses on the railway surged 11.3 per cent last year, with those recorded on TFL trains accounting for 45.8 per cent of the overall total. James Brown, director of ProtectYourBubble.com, said: "These figures show that it is more important than ever to safeguard yourself and your valuables while travelling on the rail network. "The problem of thefts is particularly stark in the capital. The increasing value of smartphones and other transportable tech, as well as an ever-growing number of tourists visiting the capital, means London’s busy rail and tube networks offer rich pickings for opportunistic criminals. "But it’s not just Londoners who need to be vigilant during their travels, we all need to keep an eye on our possessions, especially at peak times when many opportunistic thieves tend to strike." A GWR spokesman said it is incorrect to suggest you are more likely to be a victim of theft on a GWR service. He said the figures reflect the number of items lost OR stolen. He added: "They don’t take into account which is which (and often those reporting lost/stolen – usually for insurance purposes – don’t know either). "More importantly, the numbers don’t reflect the number of thefts as a percentage of the number of people travelling on our services, which you would need in order to make that statement. "We carry more than 120 million people a year on our services, making the chances of you having an item lost or stolen 0.000466%." Watching their twitter feed, it is amazing what people do leave behind on trains.....if you are travelling with a suitcase, how *do* you forget that? Not done it (yet) but I can understand and nearly have - not exactly a suitcase but a substantial bag for a week away. Of the 560 reported 'thefts', how many of these items were actually just 'lost'? It can be a bit of a knee jerk reaction to report items as stolen when they were actually just left on a train. These items are often recovered and returned to the owner. No mention is made of how many of the items were subsequently recovered and returned. 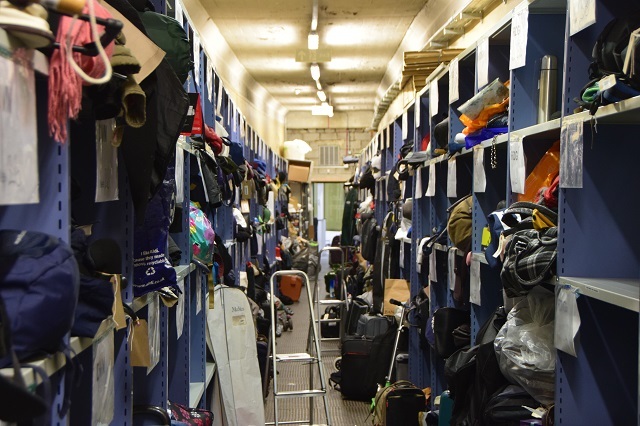 Around 2000 items of lost property are recovered on the GWR network each month. A suitcase is nothing I have just read a story in the Guardian that an air passenger realised, after take off, that she had left her baby in the terminal. Did the owner of the baby have to pay the costs involved, I wonder ? I have seen a baby forgotten in a pub, and not missed for SOME HOURS.